With over 30 years of insurance experience, Dolly specializes in the commercial insurance market. Her commitment to the insurance industry is represented in the designations she has achieved as a Certified Insurance Service Representative (CISR) and Certified Insurance Consultant (CIC). Dolly is a past president of The Insurors of Nashville and in recent years has served as Director of Region II for The Insurors of Tennessee. 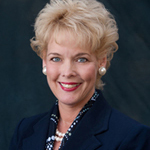 Dolly’s tenure at Fridrich, Pinson & Associates began in September, 1999 as an Account Manager. She serves a vital role as the liaison between commercial company partners and the agency. In addition, she is involved in various admin duties on behalf of management.